The Ainol Novo 9 Spark II (also known as the Ainol Novo 9 Firewire II) is of course the successor to the popular Ainol Novo 9 Spark. I gave the original Novo 9 Spark a very respectable score of 4 out of 5 stars. Looks wise, the Spark II looks very much like the original Spark which also means that its looks are “inspired” by the Apple iPad. However, the buttons placement has changed. It is available in both white and black versions. The main difference between the 2 versions of the Spark are in its internals, specifically the SoC. The original Ainol Novo 9 Spark features the Allwinner A31 SoC while its successor comes with the brand new ATM7039 quad-core SoC from Actions. 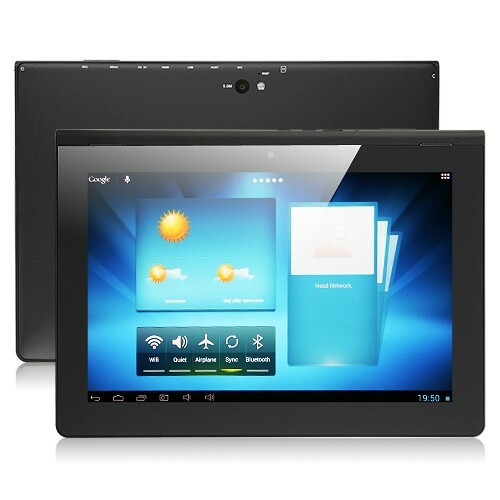 In fact, the Spark II is the first tablet PC to feature the new ATM7039. Actions is better known for its low cost and low powered chips. Unfortunately, their line of chipsets perform poorly when compared to similar chipsets from other Chinese manufacturers like Rockchip and Allwinner. The ATM7039 is Action’s latest quad-core chip and its fastest yet but how does it compare to Rockchip’s highly popular RK3188 and Allwinner’s A31? This and other questions will be answered in my review of the Ainol Novo 9 Spark II. AliExpress has numerous retailers that are offering the Ainol Novo 9 Spark II at a great price and some even have free international shipping thrown in. Merimobiles.com is a Canadian company with over 7 years’ experience in the telecommunication industry as well as customer service. Build quality wise, the Ainol Novo 9 Spark II is well built and the use of a metal shell enhances this. For some reason, Ainol has decided to switch the button placement around a bit. However, in my opinion, the new button layout isn’t much of an improvement over the old layout. The Home and Power buttons are now located on the left and right ends of the bottom edge, with the ports in between them. The volume rocker button is on the top edge. Both the Home and Power buttons are the same size so it is difficult to determine which is which without looking at the labels. The 2048 x 1536 resolution retina display looks gorgeous. I have read somewhere that the display used is from Sharp. The brightness is very good and visually, it looks noticeably brighter than most other IPS screens on other tablets. Besides the use of the new ATM7039 chipset, one other significant improvement that the Ainol Novo 9 Spark II has over its older sibling is the inclusion of Bluetooth 4.0. 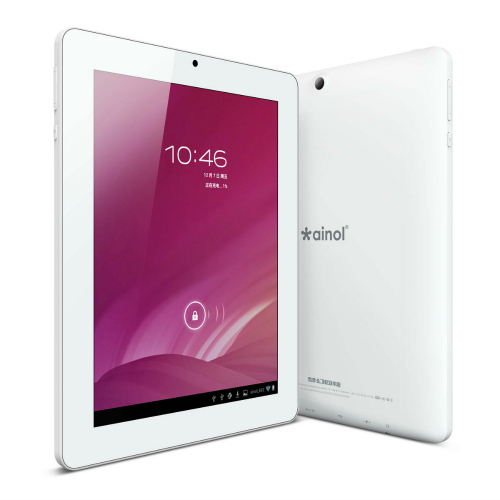 How does the Ainol Novo 9 Spark II compare with other tablets? Let’s jump into the most interesting feature of the Ainol Novo 9 Spark II right away, the Actions ATM7039 quad-core chipset. The ATM7039 is the latest quad-core chipset from chip manufacturer Actions and it replaces the older ATM7029. The ATM7029 was a very controversial chipset because of the confusion over whether it is an ARM Cortex A9 or an ARM Cortex A5 chipset. Action’s own website lists the ATM7029 as a quad-core ARM Cortex A9 but benchmark and investigations have shown that it is actually an ARM Cortex A5, a low powered and low cost chipset. Benchmark tests have also shown that not only does the ATM7029 perform poorly when benchmarked against other ARM Cortex A9 chipsets like the Rockchip RK3188, it can barely hold its own when compared against much older dual-core chipsets like the Rockchip RK3066. The performance of the ATM7029 is also further hampered by the use of the Vivante GC1000 GPU. The Vivante GPU is not popular and sees very little support from software developers. The Actions ATM7039 on the other hand, is a different beast altogether. It is now a true quad-core 1.6 GHz ARM Cortex A9 CPU and is paired with a Power VR SGX544MP2 GPU. This is the same GPU that is used in the Allwinner A31 and Power VR GPUs are gaining popularity among chipset manufacturers. Another advantage that the ATM7039 holds is that it uses the ARM Cortex A9r4 cores. The A9r4 are an improved version with support for higher frequency and lower power consumption compared to the older A9r3 that are used in the Rockchip RK3188. However, the ATM7029 is clocked at 1.6 Ghz which is the same as the RK3188. The ATM7039 has support for h.265 hardware decoding. h.265 is a High Efficiency Video Coding (HEVC) video compression format that allows for double the data compression ratio compared to h.264. This means that you get the same quality video files at half the file size or higher quality video at the same bit rate. Other specifications of the Ainol Novo 9 Spark II have not changed much. This includes a 9.7 inch 2048 x 1536 resolution retina IPS display, 2 GB DDR3 RAM, 16 GB ROM for storage, WiFi and dual cameras, 2 MP and 5 MP. There is a slight upgrade to the rechargeable battery. It is now 12000 mAh compared to 10000 mAh previously. 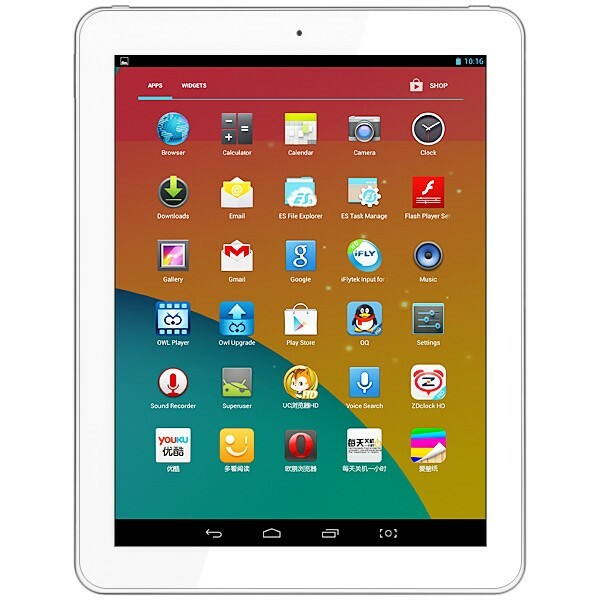 The OS has also been upgraded from Android 4.1 to Android 4.2. Last but not least, as mentioned earlier, Bluetooth is now available on the tablet. I guess the top question on everyone’s mind is how does the Ainol Novo 9 Spark II performs compared to its predecessor. The Allwinner A31 is a quite a good performer and it comes with quite a beefy GPU, the Power VR SGX544MP2. However, it is let down slightly by the ARM Cortex A7 based CPU. The Cortex A7 is primarily designed for lower power consumption but it is not as powerful as the Cortex A9. The ATM7039 pairs the more powerful Cortex A9 cores with the Power VR SGX544MP2 GPU for a best of both worlds solution. The ATM7039 also uses the latest Cortex A9r4 cores for better power efficiency for better battery performance. In real world performance, there is a marked improvement in overall performance when compared to the older Ainol Novo 9 Spark. 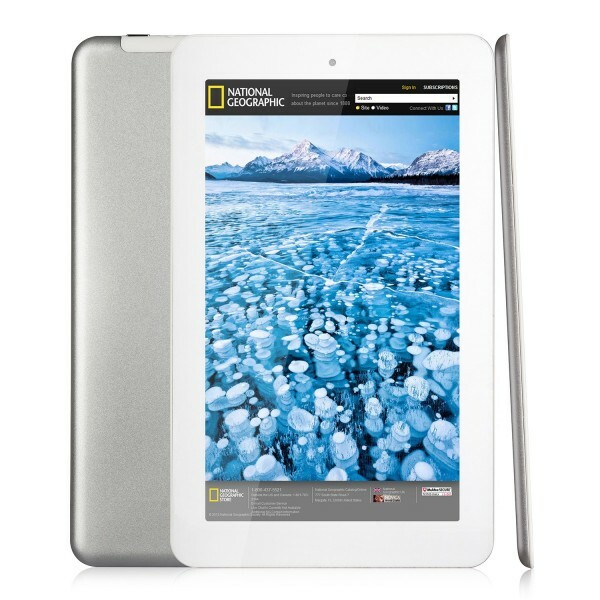 The tablet is more responsive and less laggy when compared to other retina tablets with 2048 x 1536 displays including those powered by the Rockchip RK3188 chips. Intensive 3D gaming is still far from perfect and if you are looking for the ultimate 3D gaming tablet, the Ainol Novo 9 Spark II is not it. For most other tasks including video playback and web browsing, the Spark II is more than up to the task. 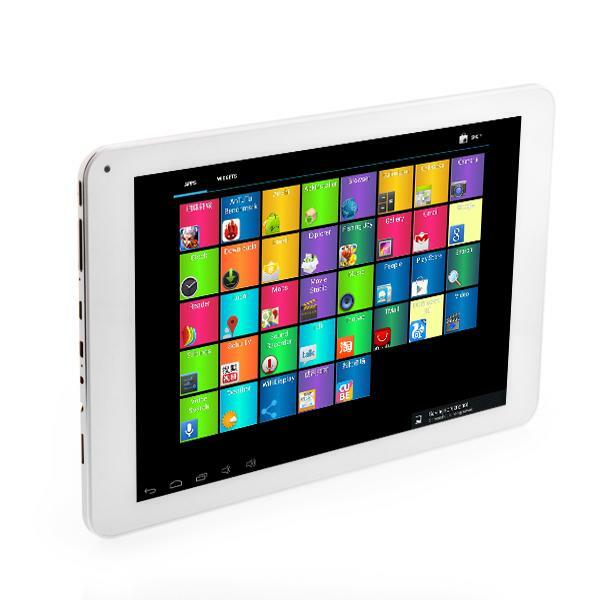 In other words, the Ainol Novo 9 Spark II cannot compare to the latest tablets on the market today. It’s performance is comparable to a Samsung Galaxy S3 or a Google Nexus 4, devices that are more than a generation old. Although the ATM7039 compares favourably against the Rockchip RK3188 and Allwinner A31, these are no longer state-of-the-art chipsets. In fact, both Rockchip and Allwinner are expected to release their latest chipsets by the first half of 2014. I like the retina LCD display. Although I normally prefer a 16:9 ratio display, this has a 4:3 ratio just like the iPad. The screen quality is very good with high brightness and great contrast. With a 9.7 inch screen, this gives a PPI of 264. I expected WiFi performance to suffer due to the use of a metal shell but surprisingly, the WiFi performance is actually above average. I could get acceptable speeds even with 2 solid walls and a floor between the tablet and my router. The 12000 mAh battery is rated at 10 hours but I got closer to 8 hours of video watching, web browsing and some gaming thrown in. WiFi was switched on at all times. This is definitely a marked improvement over the 6 hours I got from the original Novo 9 Spark. The speakers are quite loud and are noticeably better than most other tablets. However, the placement of the speakers are just like on the original Spark. This means that they are placed for portrait orientation instead of landscape. When watching videos in a landscape position, the speakers are both on the same side so you don’t get proper stereo effect. 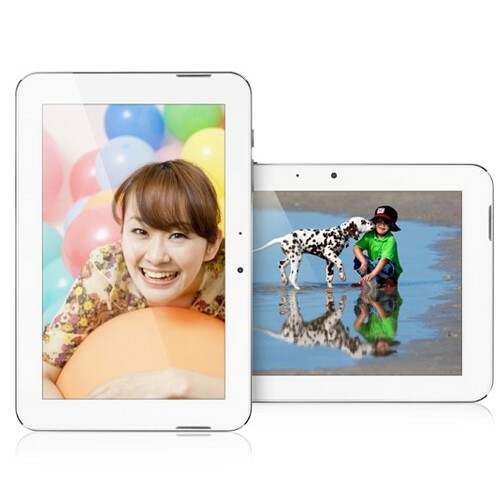 The cameras are the usual mediocre quality cameras that are the bane of every Chinese Android tablet. The rear camera does feature auto-focus though. The Ainol Novo 9 Spark II is definitely an improvement over the original Spark. However, the Spark II is being released at a time when the chipset manufacturers are transitioning over to much more powerful chipsets that are all due to be released within the next 3 to 6 months. The new chipsets are promising performance that are more in line with the latest chipsets like the Snapdragon 800 for example. 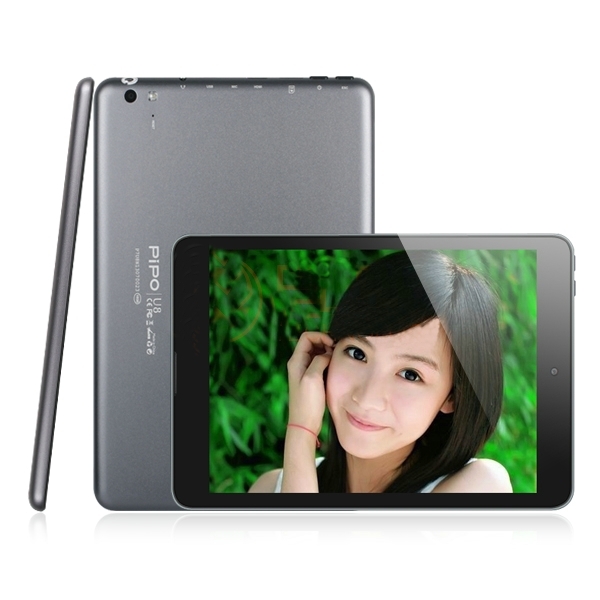 I am anticipating a huge jump in performance of the Chinese Android Tablets once these chipsets are ready. Since the Ainol Novo 9 Spark II is new, there is currently a slight premium in its pricing compared to an RK3188 or A31 based tablet. Right now, I am not that convinced that it is a good idea to pay that premium for a slight improvement. I think that it is probably a better idea to wait for the new chips to be released. Even if the new chipsets do not live up to expectations, I expect that you can always pick up an RK3188 tablet at a big discount. So I am in a bit of a dilemma. On one hand, the Ainol Novo 9 Spark II is quite a good tablet with many strong features including Bluetooth which is quite rare on Chinese tablets. But on the other hand, the new chipsets from Rockchip and Allwinner sound very promising and it might be a better idea to wait and see.